To celebrate his upcoming 10-year anniversary as a global holiday icon, the world-renowned Scuba Santa® presented Newport Aquarium with two special-delivery gift packages on Friday, Nov. 8. To celebrate his upcoming 10-year anniversary as a global holiday icon, the world-renowned Scuba Santa® presented Newport Aquarium with two special-delivery gift packages on Friday, Nov. 8 – three weeks prior to the launch of Scuba Santa’s Water Wonderland show on Nov. 29. For more information on Scuba Santa’s Water Wonderland, including show times and pricing, visit http://www.newportaquarium.com or call 1-800-406-FISH (3474). 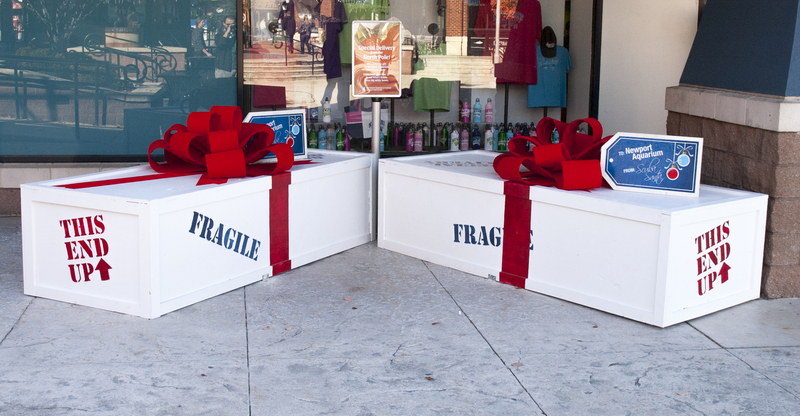 Scuba Santa delivered two mystery gift boxes to Newport Aquarium.